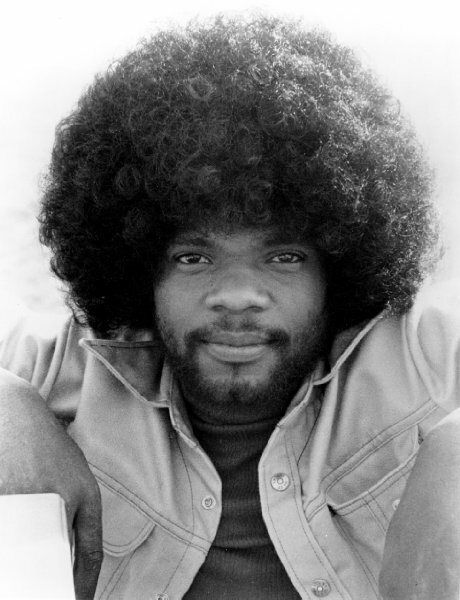 Soul Serenade: Billy Preston, "Will It Go Round In Circles"
I have a Billy Preston story. It seems like a distant dream sometimes, but it really happened. Really. Billy was born in Houston, but moved to L.A. as a young child. By the age of ten he was an accomplished organist, backing gospel legends like Mahalia Jackson, James Cleveland, and Andrae Crouch. A year later he was performing “Blueberry Hill” on Nat King Cole’s TV show, and a year after that he appeared with Cole in the movie St. Louis Blues, the story of W.C. Handy. At the tender age of 16, Billy was touring in Little Richard’s band. That must have been quite an eye-opener for a teenager. One of the tour stops was in Hamburg, Germany, and that’s where Billy met the Beatles in 1962. Or maybe it was a Little Richard show in Liverpool that Brian Epstein organized with the Beatles as the opening act. Accounts vary as they often do with these things. In 1963 Billy played on Sam Cooke’s Night Beat album and he released his own debut, 16 Yr Old Soul, on Cooke’s SAR label. Americans of my generation got to know Billy through his regular appearances on the TV show Shindig! beginning in 1965. But Shindig! only lasted a couple of seasons, and by 1967 Billy was playing in the Ray Charles band. I think this is around the time that I came into the story. It must have been around 1968, and my family was on vacation in San Juan. One night I wandered into the hotel lounge, even though I wasn’t old enough to drink. There was a piano player there, and I liked what I heard. I looked more closely at the piano player. He certainly looked familiar, but no, it couldn’t be. But it was. It was Billy Preston, playing piano in a hotel bar in San Juan. When Billy took a break, we spoke for a few minutes. I think he was gratified that someone knew who he was, but maybe a little embarrassed by his surroundings. You have to go where the money is I guess, and the tropics aren’t a bad place to earn a living after all, but this was a guy who had played with Little Richard, and Sam Cooke, and Ray Charles. I told him that I loved him on Shindig! and looked forward to whatever was coming next for him. Little did I know that the next time I heard about Billy Preston, he was playing with the Beatles. By 1969 the Liverpool quartet was in shambles as they gathered to record Let It Be. One day George Harrison got tired of Paul McCartney and walked out of the studio. He decided to take in a Ray Charles concert that night in London, and it was there that Harrison encountered Billy Preston, who was playing organ in the band. Harrison brought Billy back to the studio with him, and Billy’s outgoing upbeat personality actually helped to alleviate some of the tension between the band members. John Lennon wanted Preston in the band. McCartney pointed out that they were having enough problems with just four members. Although he never became a full-fledged Beatle, Billy played on several sessions for the band. In fact the 1969 single “Get Back” was credited to “The Beatles with Billy Preston,” and he backed them up at their final public appearance on that rooftop. Billy also played on several sessions for the Abbey Road album, contributing to “I Want You (She’s So Heavy),” and “Something.” No wonder Billy has often been called The Fifth Beatle. Billy signed with Apple Records in 1969, and Harrison produced his first album for the label, That’s the Way God Planned It. Billy returned the favor by playing on Harrison’s All Things Must Pass album, and turning in show-stopping performance at the Concert for Bangladesh. Billy also toured as part of Harrison’s band in 1974. By 1971 Apple was in disarray, and Billy left to sign with A&M Records. The 1972 instrumental single “Outa-Space” was a solo career highlight for Billy, reaching the top of the R&B chart, and #2 on the Billboard Hot 100. The record won a Grammy for Best Pop Instrumental Performance, sold a million copies, and earned Billy a gold disc. In 1973, Billy hit the charts again with “Will It Go Round In Circles,” a song he wrote with Bruce Fisher. It was his first #1 pop hit as a solo artist (don’t forget that Beatles credit), topping the Billboard Hot 100 for two weeks. A year later Billy had another #1 hit with “Nothing from Nothing.” “Space Race,” sandwiched in between the two #1’s, did pretty well too, reaching #4 on the pop chart. As if all of that success wasn’t enough, Billy had been playing with the Rolling Stones since 1970. He played on five Stones albums beginning with Sticky Fingers, and was their primary keyboard player on tour from 1973-1977. While all of that was going on Billy managed to collaborate with Dennis Wilson on the writing of the iconic song “You Are So Beautiful,” which became a huge hit for Joe Cocker. Oh, and along with Janis Ian, Billy was the first musical guest ever on Saturday Night Live in 1975. A dispute over money (what else?) led to a split with the Stones in 1977, but Billy returned to play on Tattoo You in 1981, and Bridges to Babylon in 1997, as well as playing on several solo albums by band members. Billy left A&M in 1976 and signed with Motown. There he managed one more hit, a duet with Syreeta Wright called “With You I’m Born Again” which hit the #4 spot on the Billboard Hot 100 in 1980. In 1984 Billy left Motown to focus on session playing, and served as the Music Director on David Brenner’s Nightlife talk show, which only lasted for one year. In later years Billy was dogged with legal problems which you can read about elsewhere. He managed to recover enough to tour with Eric Clapton, Ringo Starr and His All-Star Band, and the Band. Billy was there to pay tribute to his old friend George Harrison at the Concert for George in 2002. At the concert he performed stunning versions of “My Sweet Lord,” and “Isn’t it a Pity” that Harrison would have loved. Despite all the years, and all the problems, Billy continued to be in-demand in recent years. He played on Johnny Cash’s American IV (2002), Ray Charles’ Genius Love Company (2004), Neil Diamond’s 12 Songs (2005), the Red Hot Chili Peppers’ Stadium Arcadium (2006), and Eric Clapton and J.J. Cale’s The Road to Escondido (2006). But in his later years Billy suffered from kidney disease. He had a transplant in 2002, but his condition continued to get worse, perhaps because of continued drug use. It was while he was in rehab in 2005 that Billy suffered respiratory failure and fell into a coma. He died on June 6, 2006. There are few musicians who can boast of a more storied career than Billy Preston. He saw enormous success as a solo artist, and with his famous friends. As for me, I’m glad I got to spend a few minutes with him in that hotel in San Juan all those years ago. It’s something I’ll never forget.